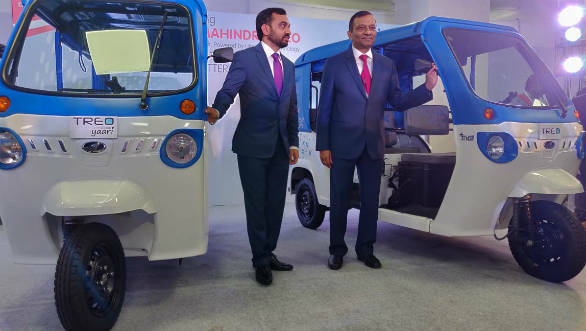 Mahindra Electric has just launched the Mahindra Treo range of electric three-wheelers in India at a starting price of Rs 1.36 lakh for the Treo Yaari soft top e-rickshaw, while the Treo electric three-wheeler is priced at Rs 2.22 lakh (Both prices, ex-Bengaluru). The Treo electric vehicle (EV) comes powered by a lithium-ion battery pack. The range consists of two variants, Treo and Treo Yaari, each with hard or flex canopy soft-top options. The Treo can seat a driver plus three passengers like any conventionally-fuelled auto rickshaw, while Treo Yaari seats a driver plus four. 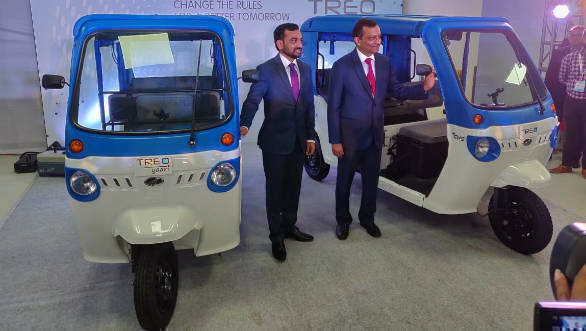 Mahindra claims that with ranges per charge between 85 and 130km, the Treo will offer a low running cost of 50 paise per km, with the potential to save up to 20 per cent more compared to an LPG-powered auto rickshaw. The Treo features a zero maintenance, lithium-ion battery that has a battery life of more than 5 years. This doubles the mean life of previously used lead acid batteries. The Mahindra Treo with a 7.37kWh lithium-ion battery has a claimed range of 170km per charge (130km typical driving range). The battery charges to full in 3 hours 50 min. The Treo sports a single 5.4kW eletric motor powering its rear wheels, with 30Nm of torque. The Treo has claimed top speed of 45kmph. The Mahindra Treo Yaari, meanwhile, features a smaller 3.69kWh lithium-ion battery with a claimed range of 120km per charge (85km typical driving range). This battery, ehich charges in 2 hours 30 min, powers a 2kW motor with a peak torque of 17.5Nm. The top speed on the Treo Yaari is 24.5kmph (claimed). 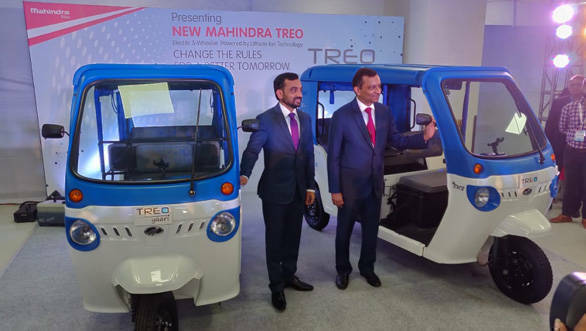 Mahindra is offering a 50,000km or 24-month warranty on the Treo, while the Treo Yaari will have a 30,000km or 18-month warranty. In terms of features, both models receive windscreen and wiping system, spare wheel and three driving modes - low, medium, and high. The Mahindra Treo also features the option of adding a telematics unit and GPS. This feature could come in handy for fleet operators and other bodies to monitor the location of each Treo and manage them more effectively.